Andrew Lincoln is for certain saying goodbye to AMC’s landmark survival horror show The Walking Dead. At a packed Hall H panel for the show, Lincoln made no bones about his imminent (and widely reported) exit from the show. When asked what he would do next Lincoln explained, “I’m gonna take a break. It’s been a great surrogate family but I do have a real family.” Cast member Lauren Cohen was on hand, but no reference nor mention was made to her likely exit from the show after only a handful of episodes. The cast mostly shared loving and humorous stories from their time shooting together, but original comic creator did have a few newsworthy tidbits. 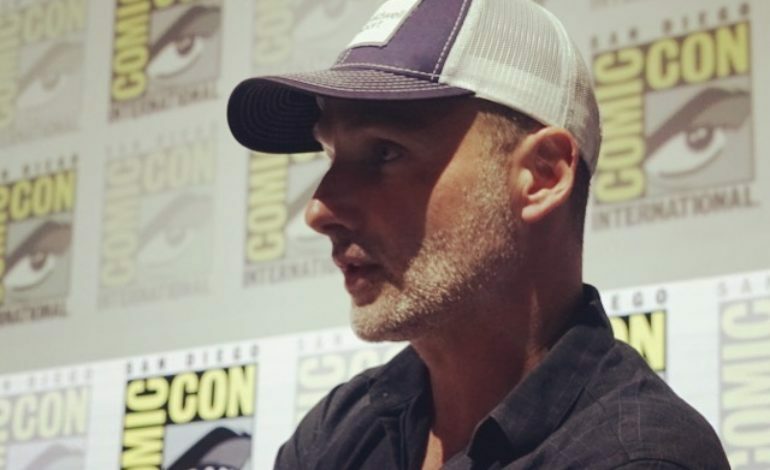 First, after a trailer for the new season was shown he did confirm there was a whispering zombie heard, essentially confirming that The Whisperers will be appearing in this season of the show. Also, while jokingly referring to Fantastic Beasts and Where to Find Them as the show’s new go-to place to steal bold casting choices, he indicated several new additions to the cast for this season including Dan Fogler will be playing as a character named Luke and Samantha Morton as, the long-rumored addition, Alpha. At the panel’s conclusion Norman Reedus asked the capacity crowd present to give Lincoln a standing ovation for ten years on the show.